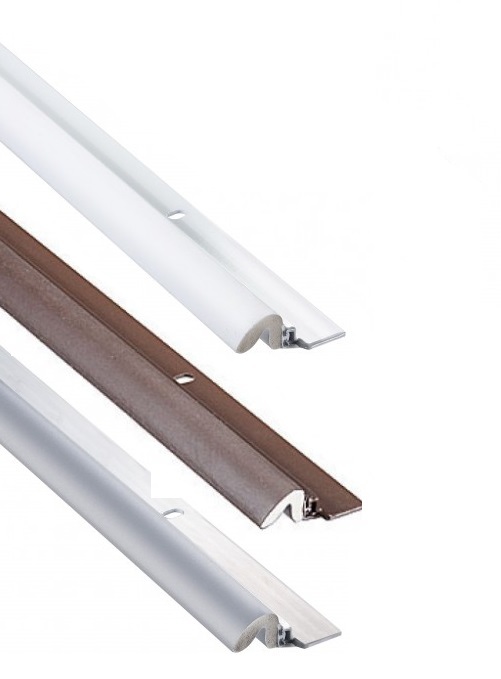 Our Door Weatherstrip Kit takes care of door drafts by sealing gaps. The kit features an extruded carrier with angled sides for fast, accurate and trouble-free installation. Each set includes 1 - 36 In. top and 2 - 84 In. sides, hardware and installation instructions. The material and technology utilized in manufacturing the weather-strip offers compression set resistance and ultra violet resistance characteristics. It is available in gray, white and brown. • Works on even the most inconsistent gaps up to ¾ In.